Michael Callanan, principal of mC3, spoke about leadership as it relates to our FEMA contract with PSEG. He also discussed the short and long term goals and objectives of our new FOCUSED campaign. 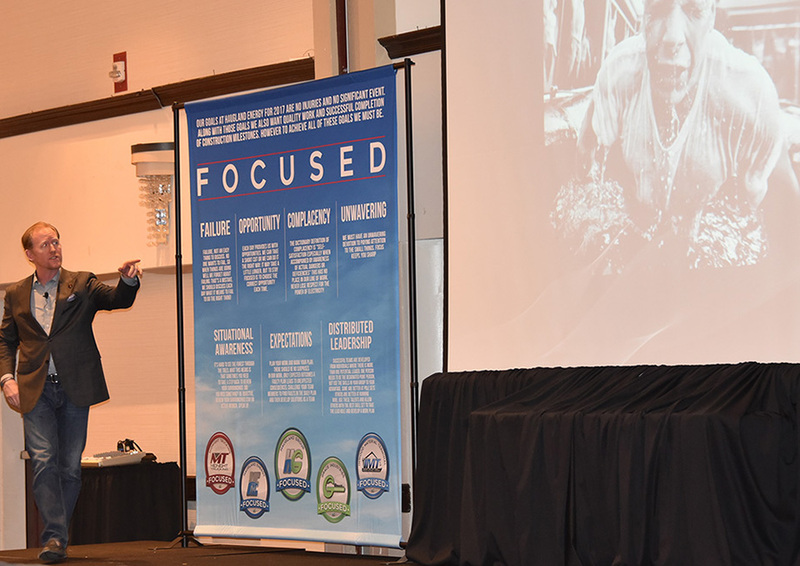 Navy SEAL Robert J. O’Neill presented examples of traits common to successes that he has experienced during the past 16 years that come from both combat and training, which are applicable to high-performance teams anywhere. Mr. O’Neill stressed the importance of working safely; whether working alone or as a team. Mr. O’Neill draws upon real-life stories from training missions to the rescue of the Lone Survivor, the rescue of Captain Richard Phillips and the killing of the world's former #1 terrorist.